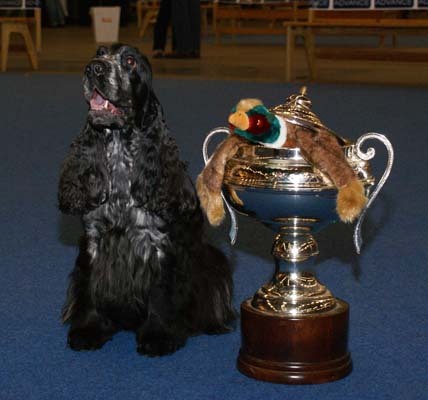 Cocker of the Year (both clubs!) 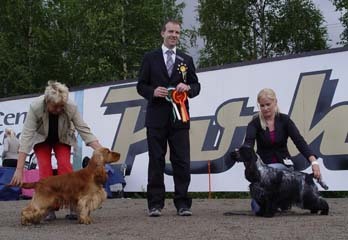 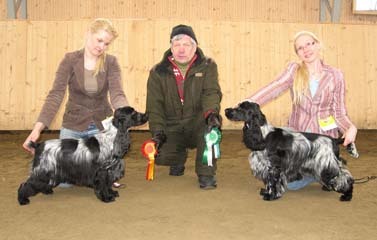 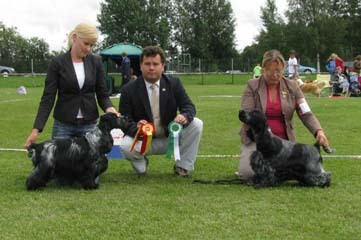 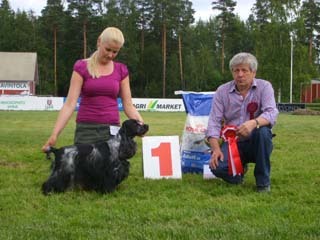 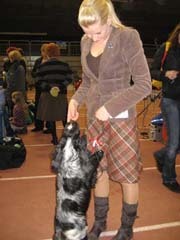 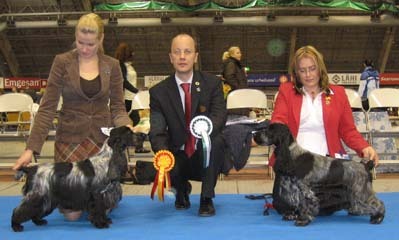 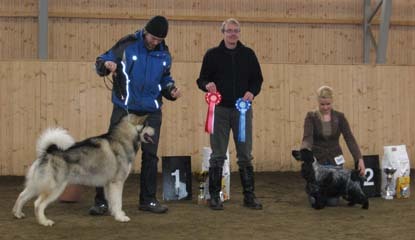 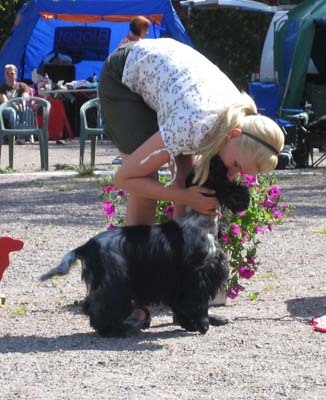 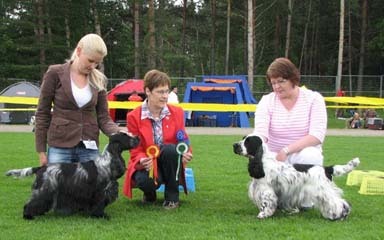 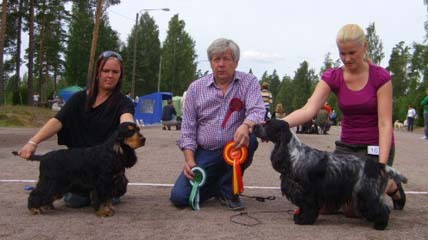 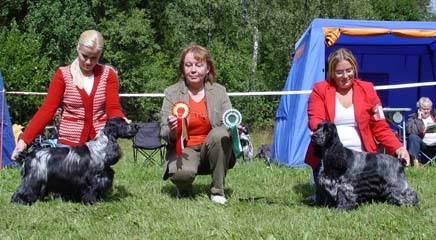 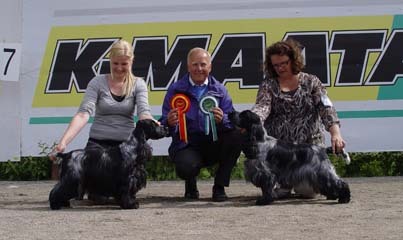 & Allround Cocker of the Year 2008 in Finland - a historical triple win! 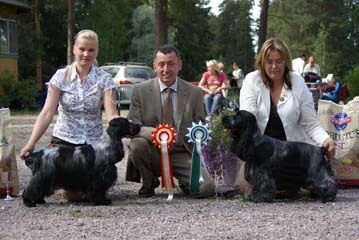 Mikkeli National All Breed Show (BIG), Ypäjä National All Breed Show (BIG), Kuopio Int, Kuopio Int (BIG3), Vesilahti (BIG2), Helsinki National All Breed Show (BIG3) ... only in 2008. 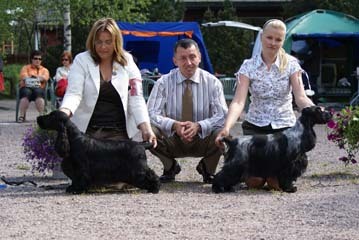 Triplet Mary Poppins 57,5 ? 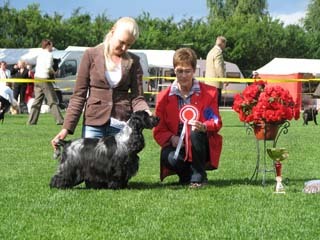 Pretty Flower's Super Trouper 50 ?